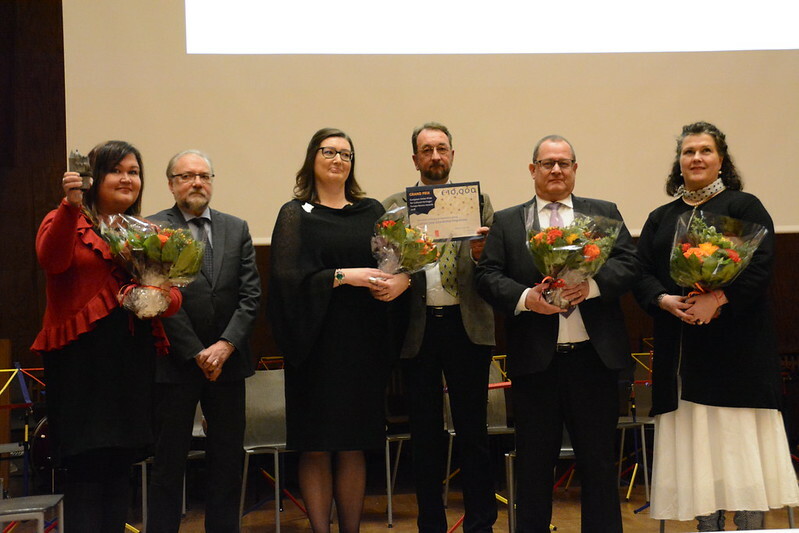 The Culture Leap Educational Programme, a Grand Prix winner of the EU Prize for Cultural Heritage / Europa Nostra Award 2018, was celebrated on 28 November in Helsinki. The presentation ceremony took place during the closing event of the European Year of Cultural Heritage in Finland which gathered heritage experts, activists, researchers, members of NGOs and other stakeholders as well as government officials, including Sampo Terho, Finnish Minister of European Affairs, Culture and Sport. Tapani Mustonen, Member of the Board of Europa Nostra, and Juhani Kostet, Director General of the National Board of Antiquities, jointly presented the Grand Prix to Ira Vihreälehto, Culture Leap Project Manager and Executive Director of the Association of Finnish Cultural Heritage, Susanna Koponen, Cultural Coordinator of the Finnish Children’s Culture Centre, Jorma Kauppinen, Director of Education and Early Childhood Education at the Finnish National Board of Education, and Eva-Maria Hakola, Development Manager at the Arts Promotion Centre Finland. The Culture Leap team spoke about the award-winning project and emphasised their successful collaboration. Culture Leap promotes Cultural Education Plans in Finland. It is a public programme for schools which ensures that all children and young people get the chance to experience culture and cultural heritage. The elaborate project produced an online tool – freely available to all – that enables municipalities to independently prepare a Cultural Education Plan based on their local and regional heritage. The monetary Grand Prix of €10,000 will be used to promote Culture Education Plans in municipalities which still do not have these plans in place. The event’s programme included a panel discussion on “Participation in Cultural Heritage: from Dream to Reality” with the participation of Mikko Härö, Head of Department at the Finnish Heritage Agency, Tuuli Lähdesmäki, Academy Research Fellow, and Jarmo Rinne, Researcher. The event started with wonderful performances of folk music from Russia, Turkey and South America by the Children’s Orchestra Tempo. The Orchestra also made an inspiring interpretation of Beethoven’s “Ode to Joy”, thus joining the “#Ode2Joy Challenge” launched by Europa Nostra as a contribution to the European Year of Cultural Heritage. 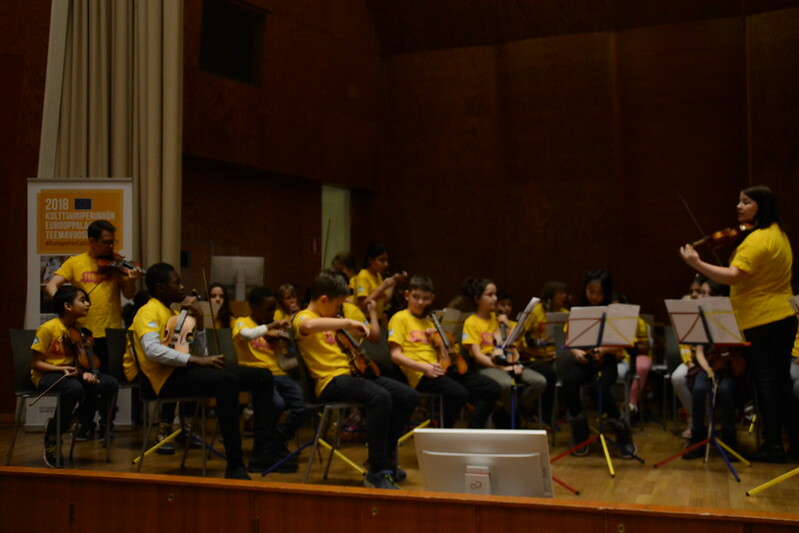 The Children’s Orchestra Tempo was chosen to perform at the event because it is fully in line with the values and activities of the Culture Leap project. The Orchestra’s main objective is to bring children from all social backgrounds together to play classical music and through this, to promote mutual understanding and friendship. The Orchestra believes that musical activities strengthen concentration and attentiveness, improve self-confidence, promote care and concern for others and aid the development of emotional expression. 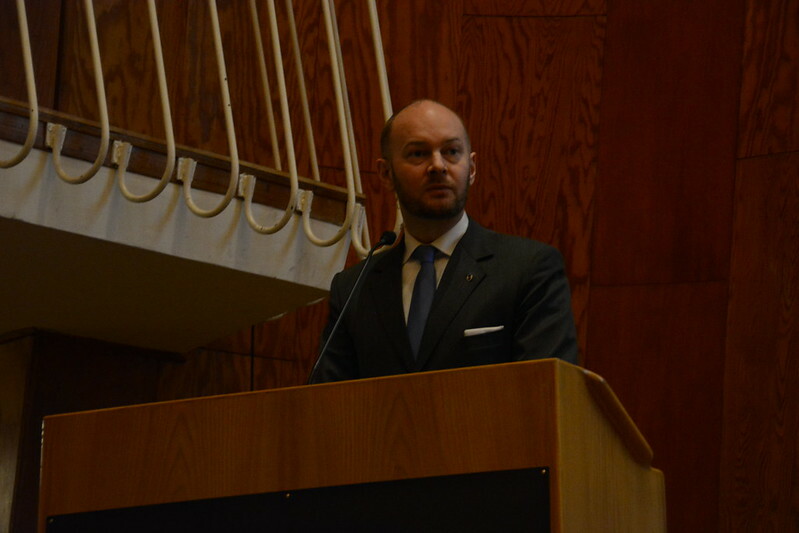 In his concluding address, Sampo Terho, Finnish Minister of European Affairs, Culture and Sport, announced that Finland will join the European Heritage Label initiative. “The European Heritage Label is a cultural heritage initiative of the European Union. Its objective is to increase Europeans’ knowledge about Europe’s history and diverse cultural heritage. Finland will continue to be actively involved in the discussion on what constitutes European cultural heritage,” said the Minister of Culture. The ceremony, which was held at the Festive Hall of the Aalto University of Business in Helsinki, concluded with a festive reception which provided the opportunity for further networking and lively discussions.